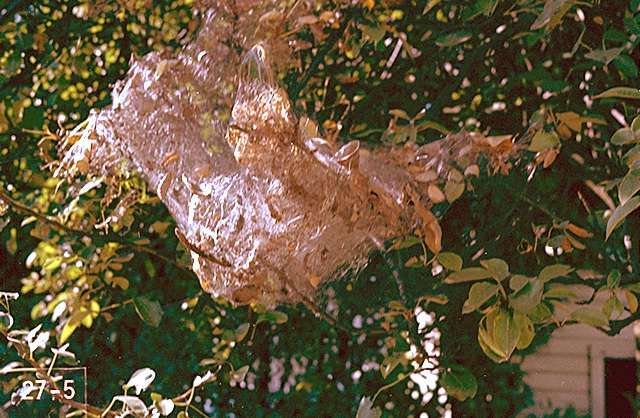 Pest description and damage Large silken tents filled with caterpillars, frass and dead leaves, eventually engulf entire branches of deciduous trees. 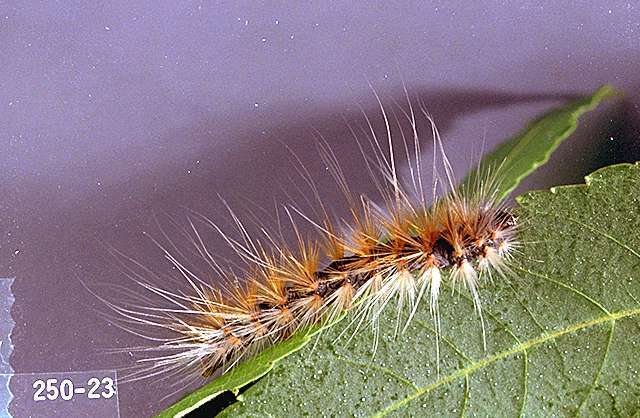 Young caterpillars are pale greenish or yellow with a dark stripe down the back and a yellow stripe along the sides. Long silky hairs arise from yellow and black tubercles. 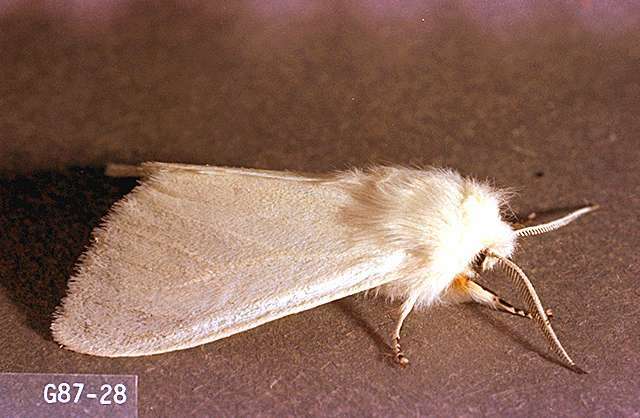 When mature, the caterpillars are covered with yellow, rusty and black silky hairs. 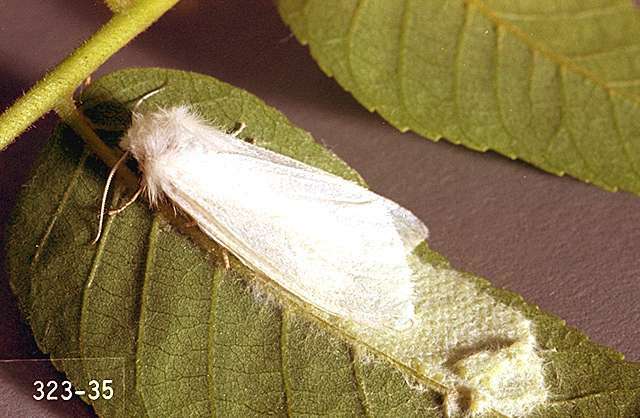 Adults are bright white with orange and black markings on the underside of the abdomen. Woolly scales cover masses of 200 to 500 greenish eggs.